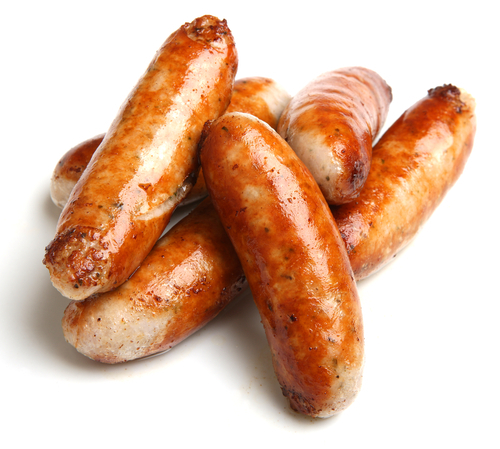 Honey & mustard pork sausages are all made in-store by our skilled butchers; they are made with free range & free range organic shoulder & belly. The sausages are made to our own unique recipe which has been developed over the last 40 years. The skins we use are all natural. The sausages are hung for 24 hours before they are packed to ensure the skin shrinks and you get a sausage that will no explode when cooked. TOP TIP: Why not cook in the oven? Cook them at 180 degrees for 20-25 minutes turning once to ensure a crispy skin.